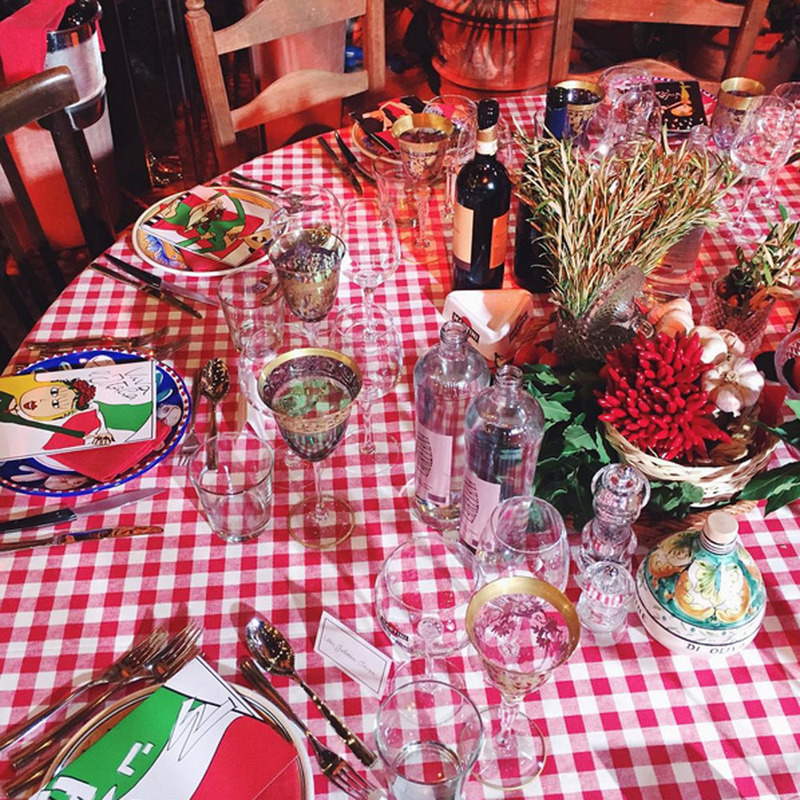 From the tacky fridge magnets to the red gingham tablecloths, no detail was missed in Dolce & Gabbana’s quest to recreate the perfect cliché of an Italian café. 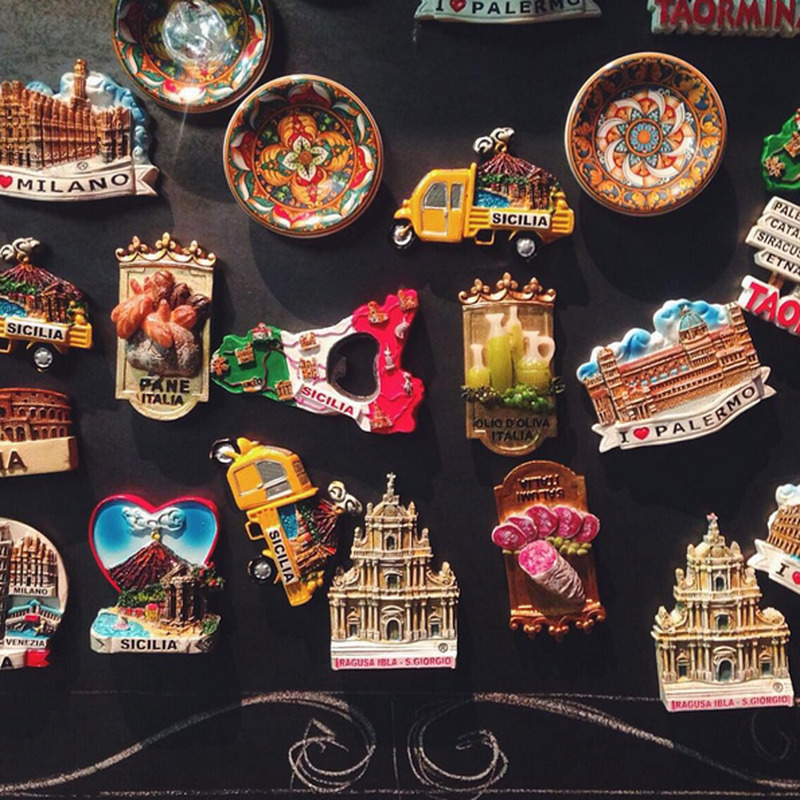 ‘Italia is love’, declared the show’s opening dress (complete with gondola embroideries), just in case the theme of the day wasn’t quite clear enough from their set. The models took selfies with the front row, while the front row took Insta-snaps of the models, while the professional photographers took photos of all the action as it happened. Got that? 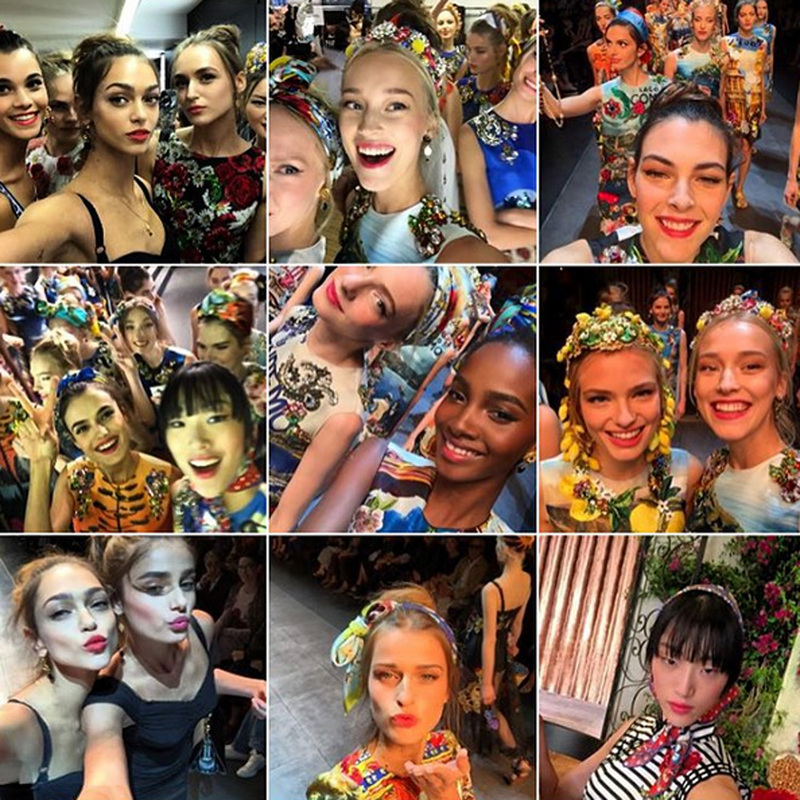 Domenico and Stefano certainly aren’t shy guys when it comes to social media and they made sure that their SS16 show finale was one big jolly holiday photo opp. …But the most stylish one we’ve ever seen, of course. Leave it to street-style favourite AdR to get up close and personal with the Dolce set, frolicking amongst the cucumber crates as on she could ever get away with. 50s silhouettes ruled, smothered in rich laces, floral motifs and gorgeous red, white and green stripes. 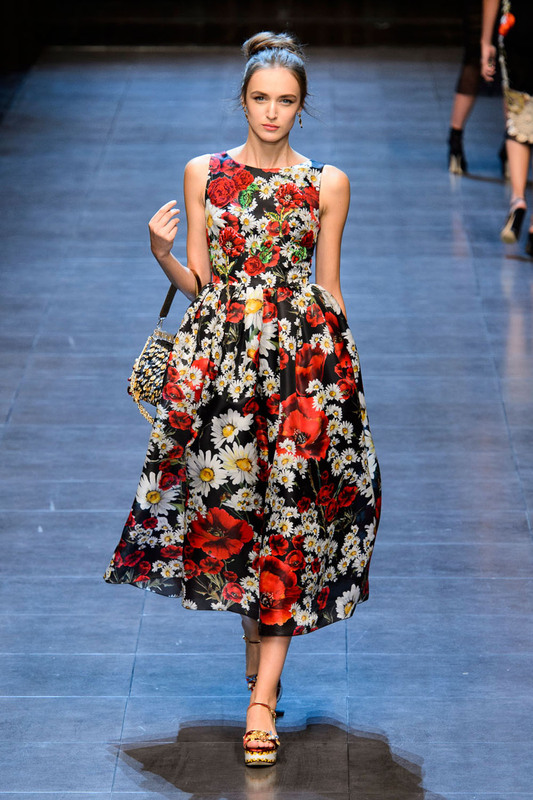 Postcard prints splashed across silk dresses for the power-duo’s famous finale accessorised with Riviera headscarves and enormous OTT cat-eye shades.